This was apparently HuffPost's latest effort to advance the cyber-jihad. 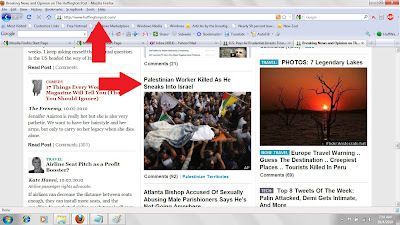 As it is now the most widely-read, advertiser-supported "news" site in the world, this article further demonstrates why we refer to HuffPost as the Internet's largest purveyor of bias and inciter of hate against Israel and Jews. 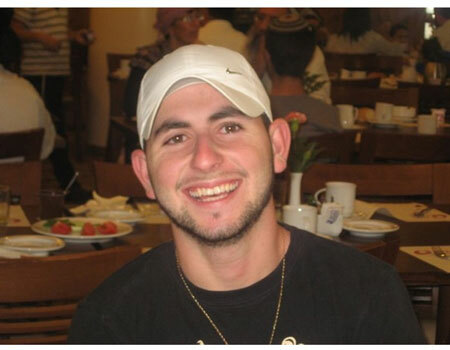 The Palestinian murderer, Ahmed Abu Nasser, was killed by the IDF in return gunfire. A spokesman for the Palestinian terrorist group Islamic Jihad claimed the purpose of this "heroic act" was to kidnap an IDF soldier (another spokesman later denied this). 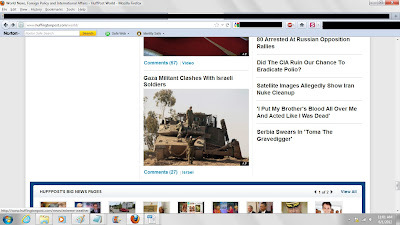 The Jerusalem Post reported the story at 3:58am EST (9:58am Israel time) on June 1, under the headline: "Palestinian terrorist kills IDF soldier near Gaza border." Similarly, at 4:03am EST (10:03am Israel time) on June 1, the Times of Israel reported the story under the headline, "Air Force strikes Gaza and mortars hit Israel after terrorist kills IDF soldier." Both papers featured pictures Sgt. Moshiashvili's name and pictures. HuffPost put Sgt. 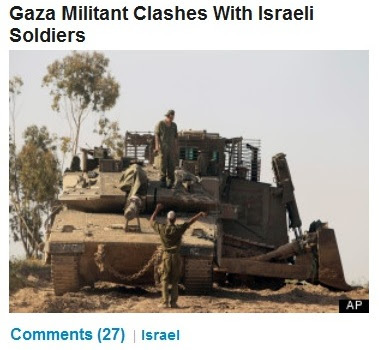 Moshiashvili and his murderer on the same moral plane, by claiming they were engaged in a "clash"
Why would HuffPost claim that this was a "clash" between Gaza "militants" and Israeli soldiers? When one hears the term "clash," it is normal to envision two football teams facing off on the field - or two boxers facing off in the ring. 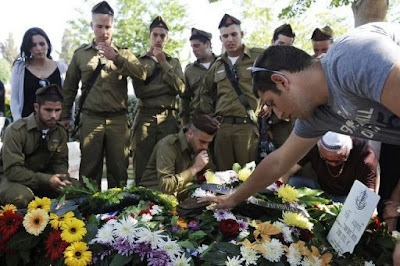 The word "clash" is not applicable to a situation in which a terrorist infiltrates a national border and murders one of the soldiers who is entrusted to protect that border. 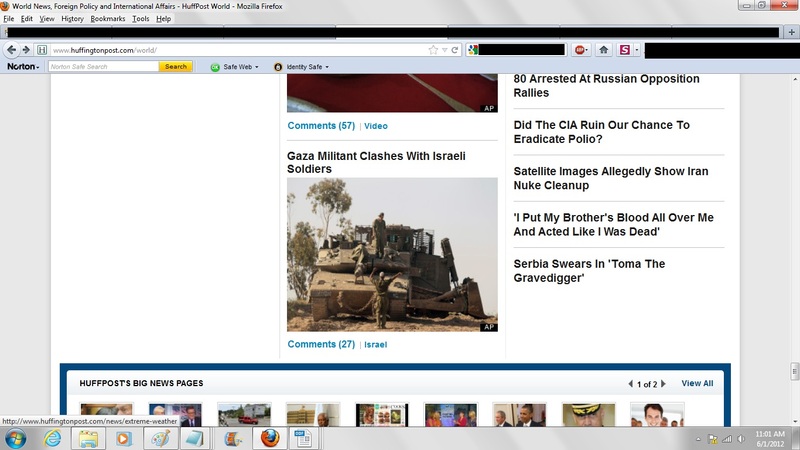 Also, note how HuffPost chose to not use a picture of Sgt. Moshiashvili --- and instead, opted to use a generic picture of a tank and various soldiers. As our friends at HuffPostMonitor noted, this stands in stark contrast to the personalized, humanizing attention that HuffPost routinely gives to Palestinian "victims" of Israeli actions. That was the only coverage that HuffPost gave the story of the murder of Sgt. Netanel Moshiashvili. 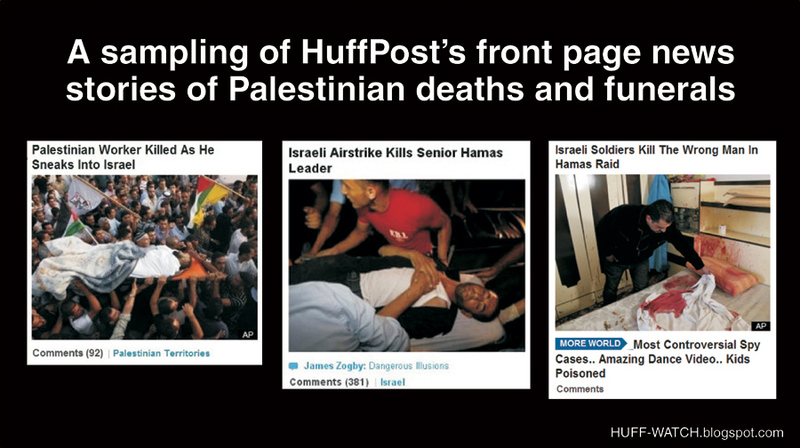 And within hours, HuffPost took the story down - a dramatic departure from the stories about alleged Israeli atrocities, which it keeps up for days. HuffPost completely ignored the funeral story, and featured not a single photo of him or of the grieving mourners in attendance. Rather than featuring any stories concerning the "human" side of Sgt. 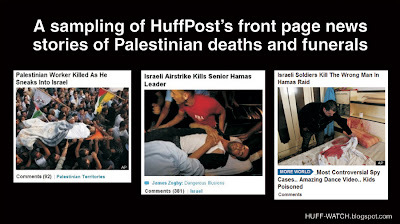 Moshiashvili, and his funeral --- as it does for Palestinian terrorists --- HuffPost decided to run days-old nonsense stories. (May 31) "Crown Prince's Embarrassing Toilet Toss"
(May 30) "Shocking Torture Method Used At Guantanamo (Sesame St.)"
(May 30) "Police Raid Dozens Of Brothels (Ireland)"
(May 30) "'Wickedest City On Earth' Seeks Protection (Jamaica)"
The money it gets from its roster of top-flight advertisers.